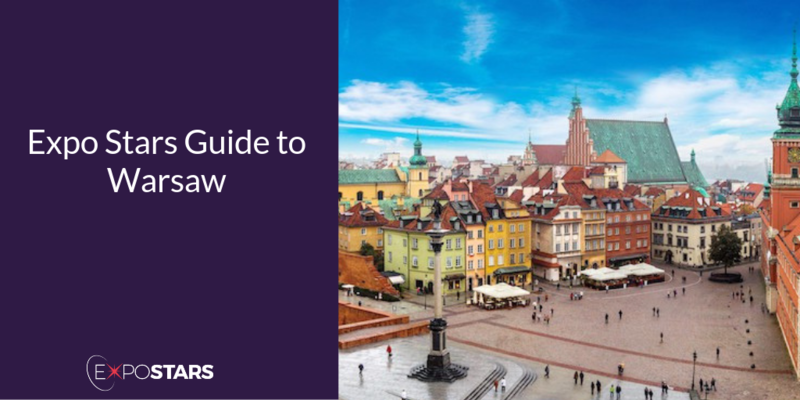 Warsaw fast becoming one of the most developed cities in the EU and is the leading CEE financial centre, hosting the headquarters of a large number of banks and companies, which all add up to great business opportunities. Mazovia, the region where Warsaw is, is an attractive area for economic investment, thanks to its geographical placement, and as a result of Mazovia’s role in the national economy. Ptak Warsaw Expo is the largest International Exhibition and Conference Center in Poland and Central Europe, and attracts visitors from all over, it is the perfect location to showcase your business. There are no unusual Restrictions on what you can bring into the country besides the usual. Ptak Warsaw Expo is the largest International Exhibition and Conference Center in Poland and Central Europe. Old Town - The Old Town is the oldest part of Warsaw. It contains the King's Castle and its surrounding walls were built in the 13th century. Most of the area was destroyed by the Nazis during World War II but has been meticulously rebuilt, completed in the 1980s and now holds a place on the UNESCO World Heritage List. Old Town Market Square (Rynek Starego Miasta). This is one of the most beautiful places in the city. Explore the memorials - PiÅ‚sudski Square has some of Warsaw’s grandest memorials. Dom Wódki near PiÅ‚sudski Square is a restaurant where local specialities are paired with Poland’s finest vodkas. Head to Platter by Karol Okrasa at the Intercontinental Warsaw for some Polish fine-dining. Local currency is Polish Zloty. Visas are required by any country not in the Schengen territory. Poland uses the two pin plug sockets like the rest of Europe. Avoid controversial issues such as religion, abortion (which is illegal in Poland), homosexuality and drugs. If you are bringing flowers, make sure it is an odd number to represent good luck and not an even number, which represents death. Do not shake hands in a doorway, as it is considered to bring bad luck.